A small privately held transmission and distribution utility located in the Northeast sought to improve its capital project planning and project management capabilities. ScottMadden’s Capital Program Assessment examines how the capital program is implemented—from top to bottom—with a look at the PMO, a specific project selected by our client, and a review of the performance reporting and tools in place. Our approach analyzes these critical areas to provide a detailed assessment of your capital program with actionable recommendations. ScottMadden was engaged to evaluate and implement shared services for a top multinational defense, security, and aerospace company. Because defense industry spending was declining, cost management had become a priority, and the client was interested in identifying opportunities to reduce operating costs. Its competitors had reduced operating costs by successfully implementing shared services, so this model provided a significant avenue for improvement. 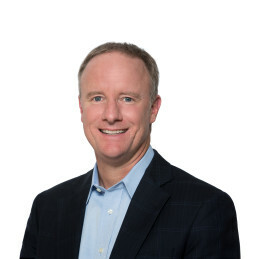 ScottMadden worked with the client to evaluate and implement shared services to enhance the delivery of finance services, decrease operating costs, and increase competitiveness. The client wanted to improve several key finance services, including accounts payable, travel and expense, payroll, and time collection and reporting. Historically, the company had grown through acquisitions, and its business units operated as independent entities. Because many of its acquisitions were loosely integrated, there were disparate financial systems and non-standard processes that led to costly and inefficient operations. Finance policies and processes varied by location, and multiple ERP systems were in use. Forty different payrolls and 15 different travel policies added to the overall complexity and inefficiency. Also, a number of government compliance requirements were an integral part of policies and processes. The lack of standardization limited the company’s agility, hindered its ability to efficiently integrate organizations, and made it difficult to realize cost savings. ScottMadden combined its proven methodology, leading practices repository, tools, and templates and its collaborative approach to develop a solution that was customized to the client’s business requirements. The results of this phase provided the justification to proceed with design and implementation of finance shared services. 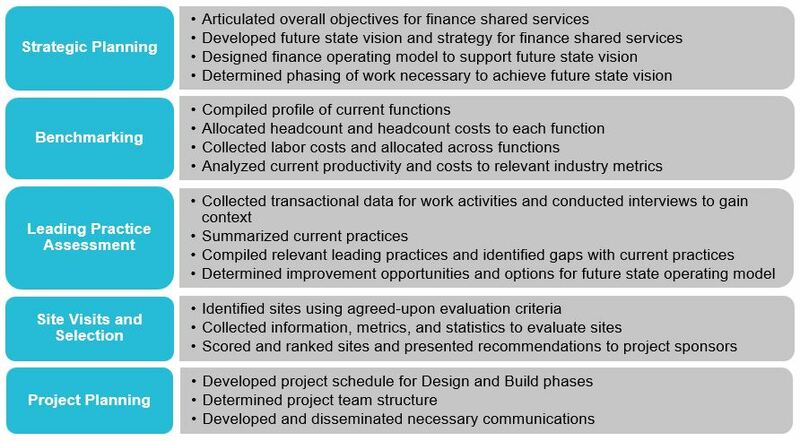 During the Design phase, ScottMadden worked with the client to determine the detailed future state infrastructure, quantify benefits of shared services, and develop the operating model. The project team organized separate teams for each work stream, as outlined below. ScottMadden assisted each team throughout the Design phase. The new organization, which is structured based on the type of work performed, provides a career path for employees. A robust metrics and reporting framework gives greater visibility of performance. Standard processes, performed in a consolidated service center, reduce compliance risk and simplify internal and external auditing processes. The new shared services model has improved the company’s competitive position and is projected to save millions of dollars annually. Additional benefits include improved levels of service, stronger controls, and a platform to accommodate future growth.